No matter the situation or the phase of life they are in, doctors can benefit a lot from good financial planning. They, however, need a different type of plan that will help them meet their life goals. 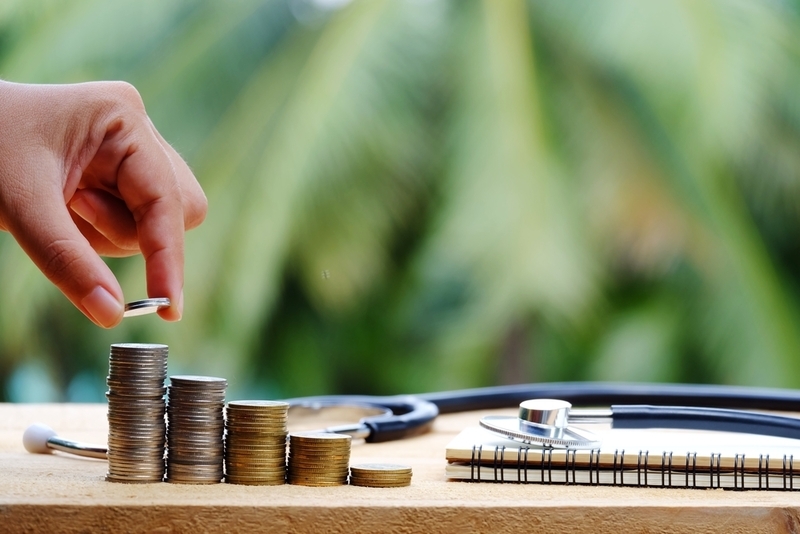 Here is some financial advice for the three stages of a doctor's life. On an average, we can say that a doctor is 30 or older by the time he/she starts earning and has sufficient money to think about saving and investing. Compared to other professional courses such as engineering and management studies, the investments for a doctor start at a later stage because they spend a lot of years studying, training, and specialising. Therefore, it also helps to know how to channel your earning at every stage in order to build a good investment portfolio. Here are a few smart investment options for each stage of a doctor's life. The start-up phase begins when doctors start practice either on their own or in a hospital. Indemnity covers: It is important to remember that regulations are rapidly changing in India and becoming more stringent by the day. While malpractice suits are not very common in the country, one has to be prepared for such an eventuality and the first thing they should do is buy an indemnity cover. Indemnity covers are not very expensive and Rs. 10 lakhs cover is easily available for an annual premium of slightly over Rs. 1000. SIP: It is necessary to set aside a small amount every month, about 3-5% of the monthly income, which can then be invested in an equity mutual fund scheme through a systematic investment plan. PPF: It is a good idea to open a Public Provident Fund Account during the starting phase. The benefit of a PPF is that it gives guaranteed returns (and therefore is a no-brainer) and is tax exempt at all levels. The investment amounts are tax deductible while the interest and maturity amounts are tax-free. Note: Indulging in any major expenditure is not advisable at this stage; if necessary one can buy a small, fuel-efficient car for commuting. By the time doctors reach their forties or even before that, they will be or should be earning well. It is at this time that one needs to ramp up on investments. Earmark at least 20-30% of their monthly income for this purpose. Mutual funds: Stick to it as the mainstay of your portfolio. Add more mutual funds to the portfolio, subject to a maximum of five schemes. It should consist of a large-cap fund, a mid-cap fund, a small-cap fund, an equity-linked savings scheme (ELSS), and a long-term debt fund. Increase the number of systematic investment amounts in each of them progressively every year. (Invezta gives you information on mutual funds, lets you compare between schemes, choose the best one suited to your goals and then invest in them directly). Property: At this point, you can invest in a house (if you have not done so earlier) but remember to restrict yourself to that one house. Like gold, real estate is an unproductive asset, unless you are living in it. The returns on it in the form of rentals are barely 1 to 2 percent a year. Many people are tempted to buy houses with the intention to leave it to their children. It would be far better off to pass on financial assets, which earn better returns and which they can utilise as they see fit. PPF: If your PPF has run its initial 15-year term by this time, you can either take it out and invest the lump sum in the shares of a large-cap company (preferably belonging in the benchmark index) or leave it for another five years, if you are risk-averse. The former course would be better because equities give you better returns in the long run. Health cover: It would also be a good idea to top up your health cover at least up to Rs. 50 lakhs if you have not done so already. A family floater scheme should work well so that your entire family is covered in case of emergencies. A personal accident cover would not also come amiss. If you are earning a lot of money and do not have time to bother with investments then you should engage the services of a financial planner (not just a chartered accountant). A financial planner can provide holistic advice on all aspects of personal finance, including tax planning, insurance needs, retirement needs, and estate planning, which involves how you plan to dispose off your assets after your death. Robo advisory platforms such as Invezta can help with the investment planning part of the process and can complement your financial planner’s advise. Typically as one approaches their sixties, they would like to ease off a bit, but doctors do not have the luxury or liberty to ease up as they are constantly in demand. While your 30s, most of your 40s, and part of your 50s as well were devoted to creating a sizeable corpus, you can now increase your expenses and spend more of your income on yourself and your family. You can think of reducing your investible portion to 10-15% of your income. Let your investments remain where they are earning interest and returns for you. Your financial planner will be monitoring your investments and tell you whether you need to rejig and tweak your portfolio. Just like annual health checks, your portfolio also needs to be monitored periodically. Conventional wisdom says that towards retirement the corpus should tilt more towards debt and less towards equities. The rule of thumb is that the debt investment in your portfolio should be the same percentage as your age. We beg to differ unless there are debt instruments that give high returns with low risk. Maintain your equity assets at 50 percent of your portfolio, because there is every chance, barring unforeseen circumstances, that you could live up to 80 years or more. If you have a large corpus of funds available with you in excess of Rs 1 crore, you can think of investing in a debenture issue, with ten years maturity that can give you periodic interest payments while your capital remains intact. Remember though that interest on debentures is taxed. Another option is to have a systematic withdrawal plan (SWP) in your mutual fund schemes, where you withdraw an amount monthly from your mutual fund investments. At all stages, we would like to stress, it is important to lead a healthy lifestyle. While this will ensure that you can discharge your duties efficiently and more productively, it also has the added benefit that you will have lower health-related expenses. The article has been contributed by Invezta, a Robo advisory platform that provides a do-it-yourself facility for transacting at minimum cost, keeping track of investment portfolios and giving advice that is easily understood.